QUICK ANSWERS + OUR BEST PRICES! We can recreate a custom image on a massive piece of fabric that is supported by sturdy metal scaffolding. Not quite what you’re looking for? 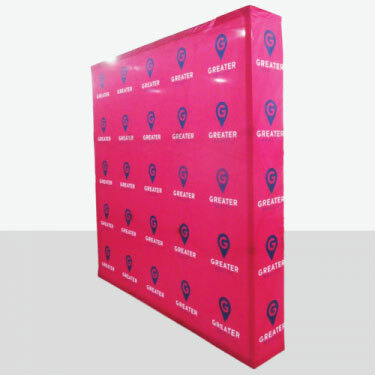 We have multiple styles of popup stands to choose from. Please contact us to discuss your requirements. Above prices are each + GST. To view our other Banners & Signage, please click here. Please visit our LINKS page for thousands of products available. Prices include all decoration as specified and set up fees, but GST is additional. Delivery, if required, is extra and charged at cost. Larger quantities are available, please contact us for our best prices. Above prices assume artwork will be supplied in correct format.